One of the most celebrated two-wheeler brands in the country, Jawa Motorcycles is officially back in business, 22 years after the last product was rolled out by the manufacturer. 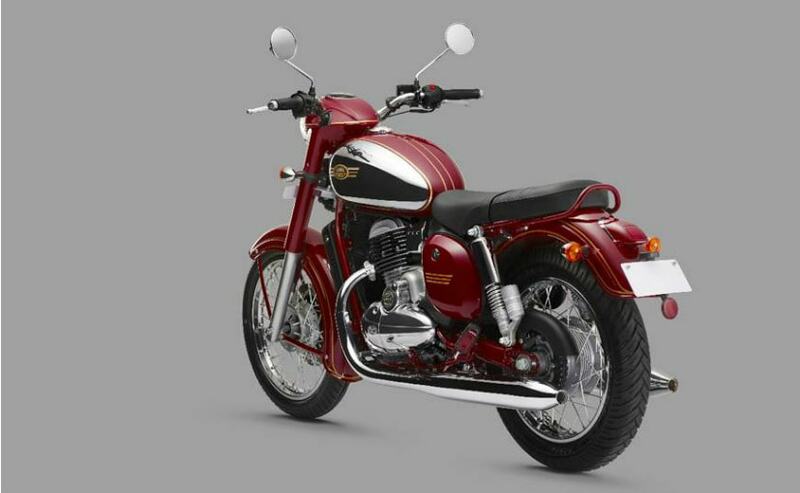 The company has unveiled its first all-new offering for the Indian market, The Jawa, which is priced at ₹ 1.64 lakh while the other model, Jawa 42 is priced at ₹ 1.55 lakh. Jawa also showcased a factory-custom bobber model called the Jawa Perak, which is priced at ₹ 1.89 lakh (All prices are ex-showroom, Delhi). The Jawa Perak will be made available for sale at a later date. Unsurprisingly, the first modern Jawa motorcycle is called Jawa, and it pays homage to the first ever Jawa motorcycle, which was called just Jawa as well. 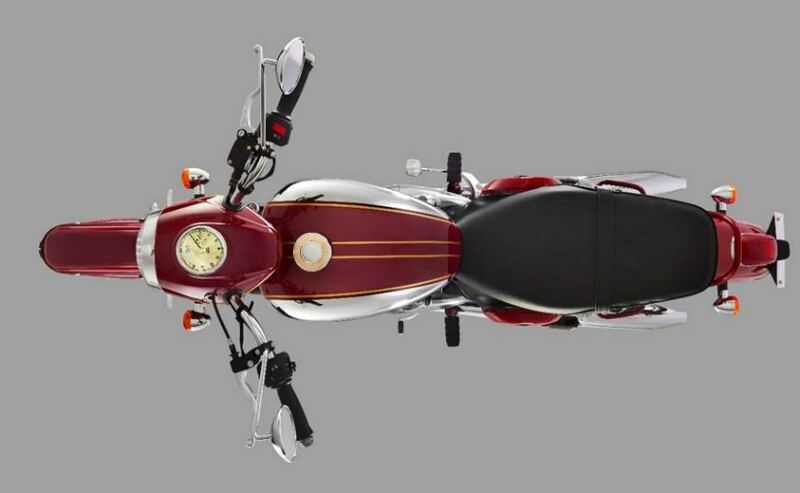 The Jawa is a 300 cc retro-styled cruiser, taking the fight straight to Royal Enfield’s 350 cc range. The Jawa 300 takes you back to the original bikes from the 1970-80s that ruled the Indian roads, albeit the new bike gets a modern heart and mechanical parts. The Jawa brand has been brought to life by Classic Legends Pvt. Ltd., a subsidiary of the Mahindra Group, which owns 60 per cent stake in the venture. The remaining holding belongs to entrepreneur Anupam Thareja and Boman Irani, son of Rustom Irani, the founder of Ideal Jawa. Unlike the original though, this one offers a better build, more power and lower centre of gravity. The round headlamp, fenders and bulbous fuel tank, all look period correct, while the small details including the chain guard, seat, add to the old-school look. Mechanically, this is a modern motorcycle underneath. The bike uses a 293 cc single-cylinder, liquid-cooled engine that is tuned to produce 27 bhp and 28 Nm of peak torque. The motor comes paired with a 6-speed gearbox. The engine on the Jawa is BS VI ready and has a future ready catalytic convertor as well. The bike uses telescopic forks up front and gas-charged twin shock absorbers at the rear. The Jawa 300 gets a 280 mm disc brake at the front and a 153 mm drum brake set-up at the rear. As a result, the bike only offers single-channel ABS as part of the braking setup. The bike weighs 170 kg and the seat height is 765 mm, which is one of the lowest in class. The Jawa has a wheelbase of 1,369 mm and fuel tank capacity of 14 litres. The Jawa Perak uses the same engine as the Jawa and the Jawa 42, but has a bigger bore, displacing 332 cc and it makes 30 bhp and 31 Nm of peak torque. The Jawa gets 3 colours which are Black, Grey and Maroon while the Jawa 42 will have six colours which are Halley’ Teal, Galactic Green, Starlight Blue Lumos Lime, Nebula Blue and finally Comet Red. Jawa motorcycles will be available across the company’s independent new dealerships pan India. 105 dealerships will be coming in soon across the country and the deliveries will begin early next year. The Jawa motorcycles will be made at the company’s Pithampur plant in Madhya Pradesh. Bookings for the Jawa and the Jawa 42 are open at Jawa’s website.